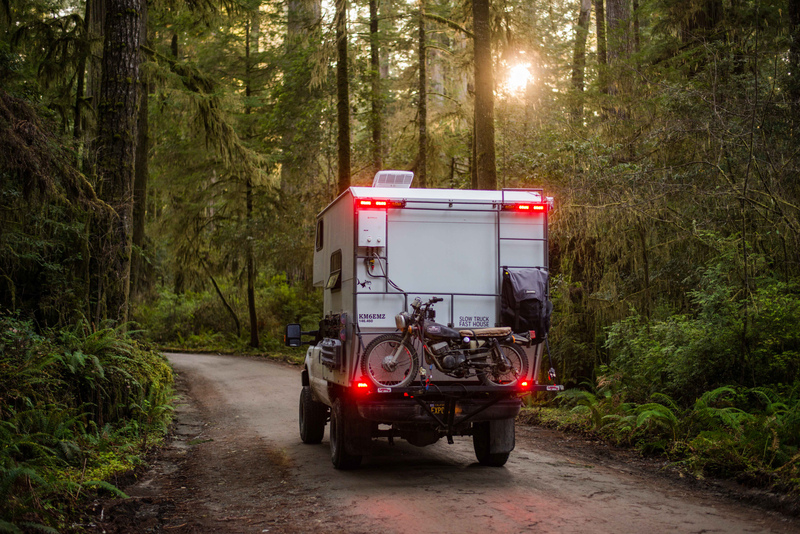 I’ve spent the last five months of my life traveling out of my camper full time, searching the Western half of the United States for the best vehicle-accessible campsites. I started my expedition in San Diego, California, heading north from there up the coast to the Olympic Peninsula. From there I went east, into Montana, Idaho, and Wyoming, eventually turning South and dropping into Utah, Arizona, New Mexico, and Colorado. 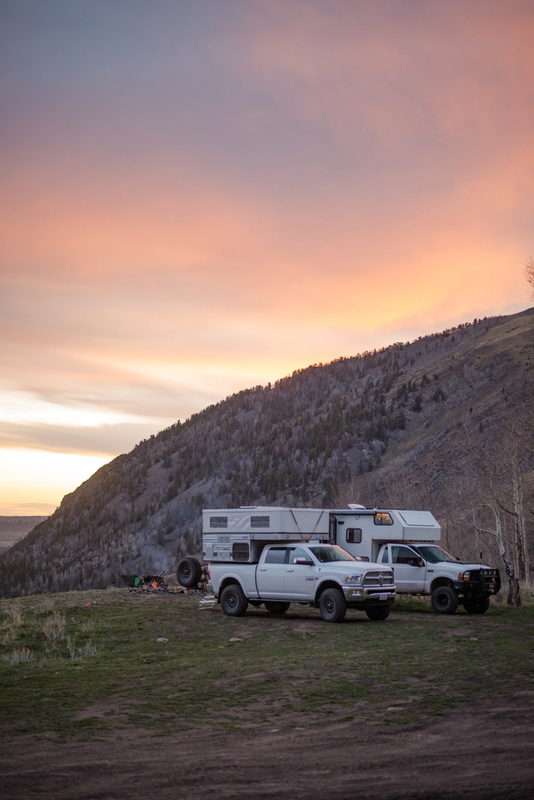 I was in search of campsites with breathtaking views, a body of water (preferably with rideable surf), and accessibility for a large 4WD vehicle. 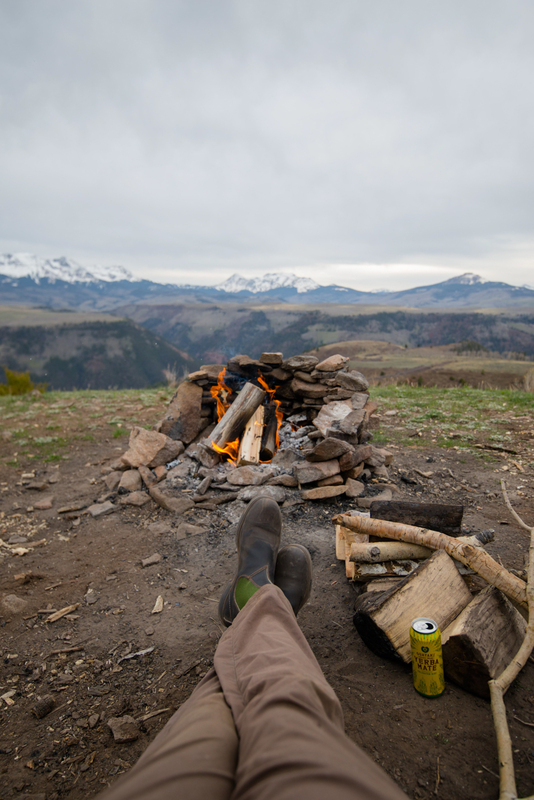 The locations below are the top five campsites I’ve found in the Western United States. In the middle of the Southwest Desert, there’s a town named Page, Arizona. The town itself is nothing special, but it’s what the city is located by that makes it so unique. 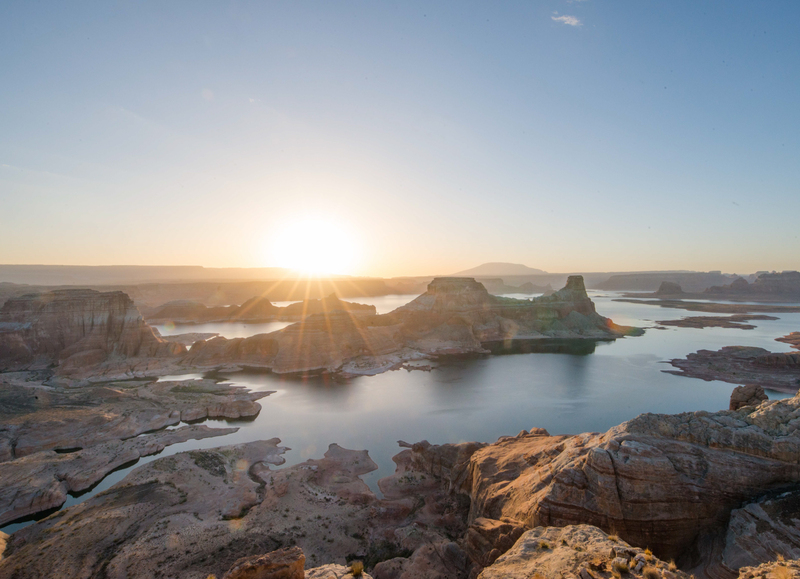 Lake Powell is the second largest man-made reservoir in the United States, spanning 161,000 acres across Arizona and Utah. 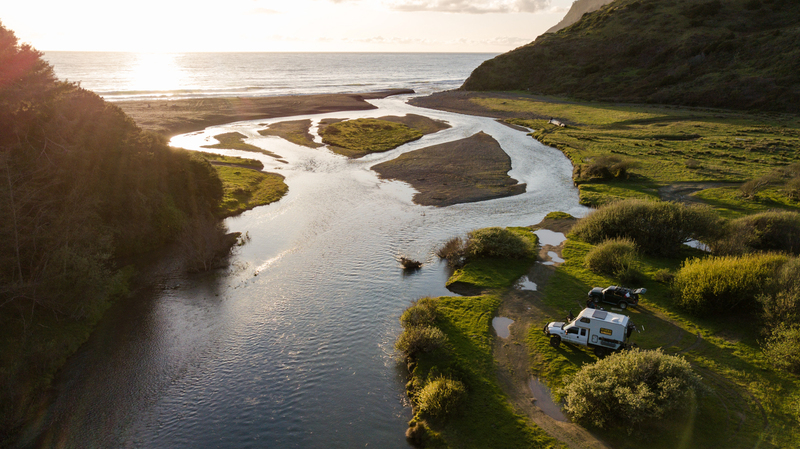 With a shoreline of 1,900 miles, there are bound to be some pretty amazing campsites on its edges. Lone Rock Beach is located on a Southwest finger of the lake, just 20 minutes outside of Page. 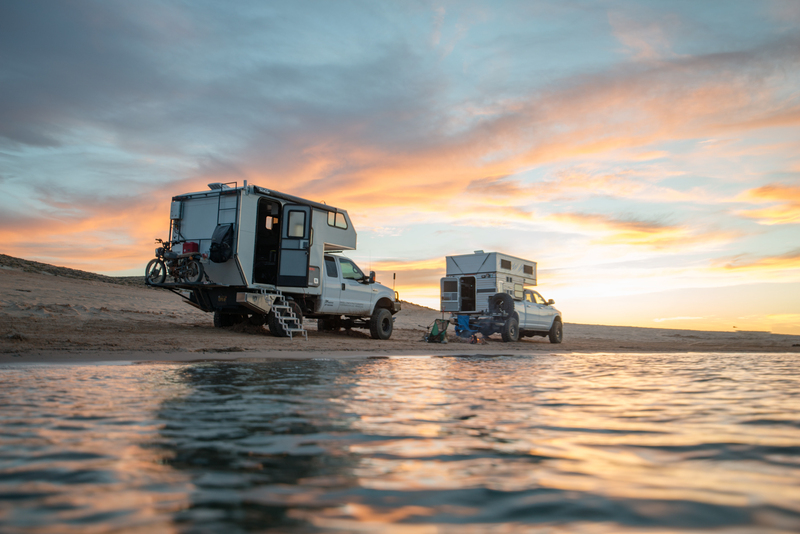 Access to this Campground is easy, 4WD is not required to get down to the water’s edge, but you’ll want it to be able to get away from the RVs, into the solitude of the deeper sand on the southeast end of the beach. 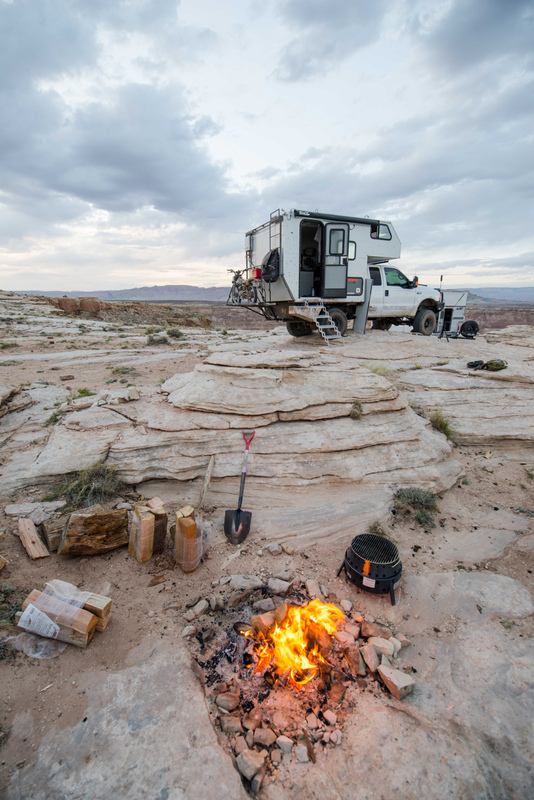 Camping is inside the Glen Canyon National Recreation area and costs $14 a night (plus an entry fee, if you don’t have an annual National Park pass). The campsites are primitive, no amenities except toilets near the entrance. You’ll be camping on the beach, so be prepared to get sand everywhere, and fires are also allowed on the beach. I spent about 10 nights total here throughout the last five months, and somehow it kept drawing me back. I think it was because I could take two steps out of my camper and have my feet in the water. We spent most of the nights next to a fire, listening to the small waves wash up on the shoreline, and spent most of the days relaxing in the sun or swimming in the water. 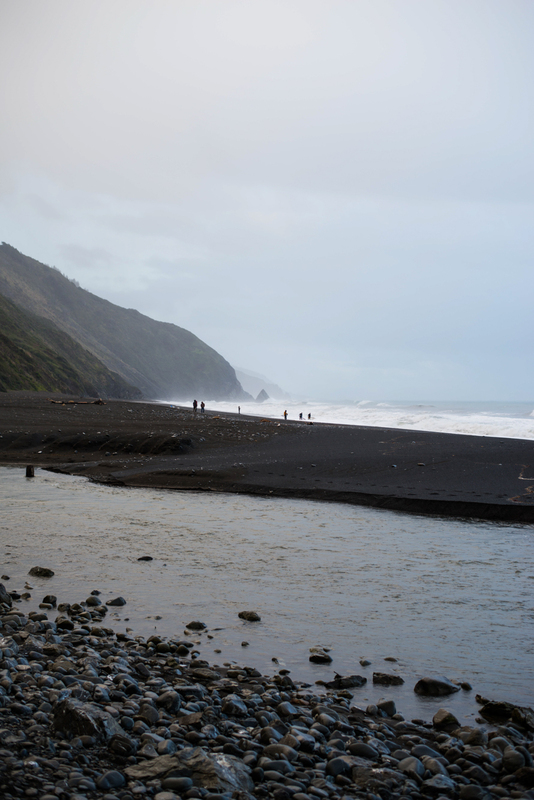 One or two days were spent hunkering down inside the campers due to the wind—Lone Rock Beach is not a place you want to get caught in a windstorm; you’ll get sand places you didn’t know it could go. Overall, this is a highly recommended spot. 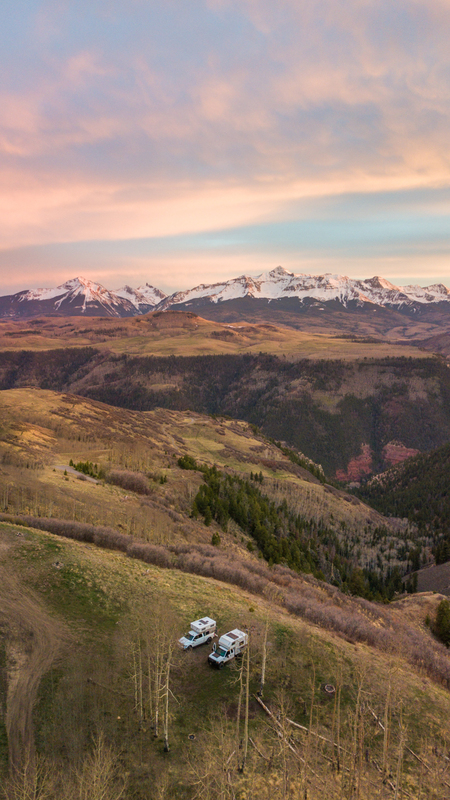 Telluride is located in the southwest corner of Colorado, It’s a small outdoorsy town tucked away in the San Juan Mountains. During the winter months, it’s a snow sports paradise, making it my favorite ski resort in the Lower 48. Once summer hits and the snowpack melts, it becomes a 4WD owner’s dream. Forest roads crisscross the mountains, reaching over 13,000 feet of elevation. Last Dollar road leads west out of town, eventually taking you up and over Last Dollar Pass, then driving down into Ridgeway. The trail is pretty mild, 4WD is not required, but using the low range on my F250 was helpful for the steep climbs. 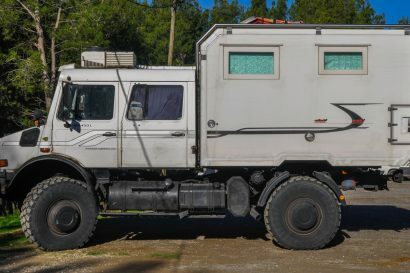 I’d suggest a high clearance vehicle for a few rocky sections. 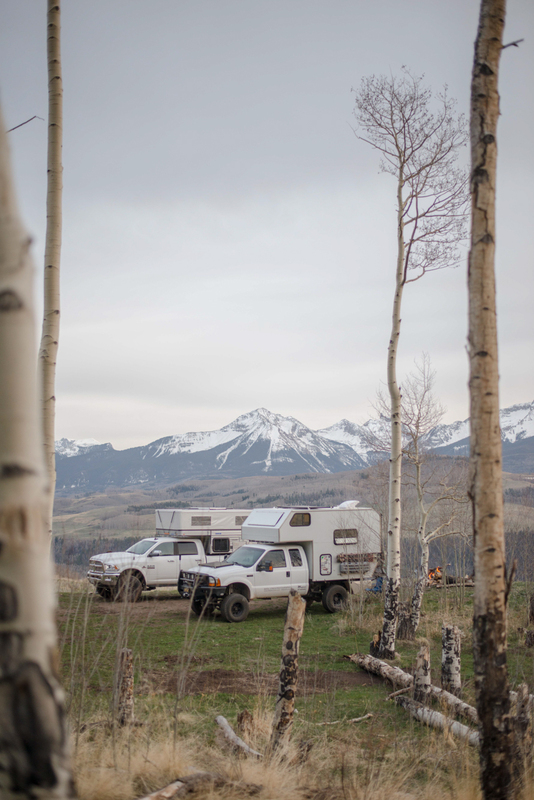 The campsite we stayed at was on the Telluride side of the pass. 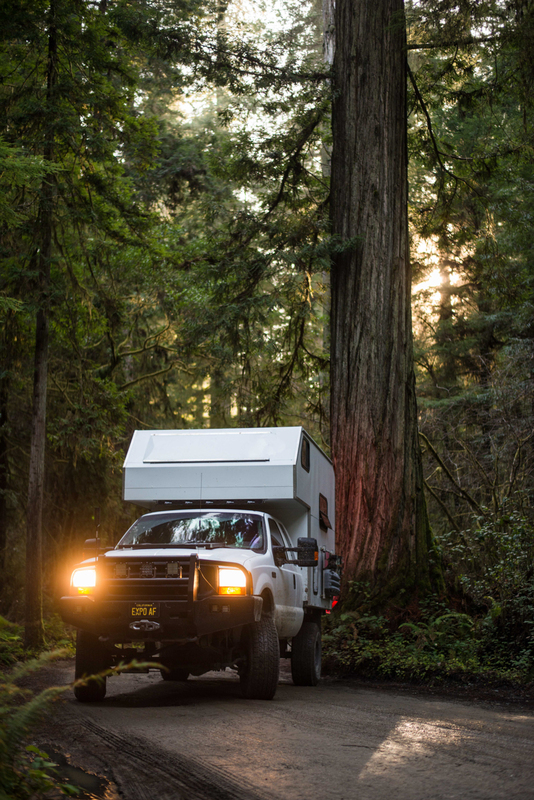 There are a bunch of campsites along the road, and once you get onto public land, they will be apparent, with established fire rings, and camping is free. We pulled into camp at around 3:00 p.m., set up the campers, lit a fire, and relaxed. Our campsite was at roughly 10,000 feet of elevation, so we had to gather plenty of firewood to keep a fire burning strong into the night. One thing about Colorado that I’ve grown to love is the sunsets, and somehow there’s a good one every single night. We spent the night sitting by the fire watching the stars. You’ll be amazed by how vast the stars stretch at 10,000 feet. 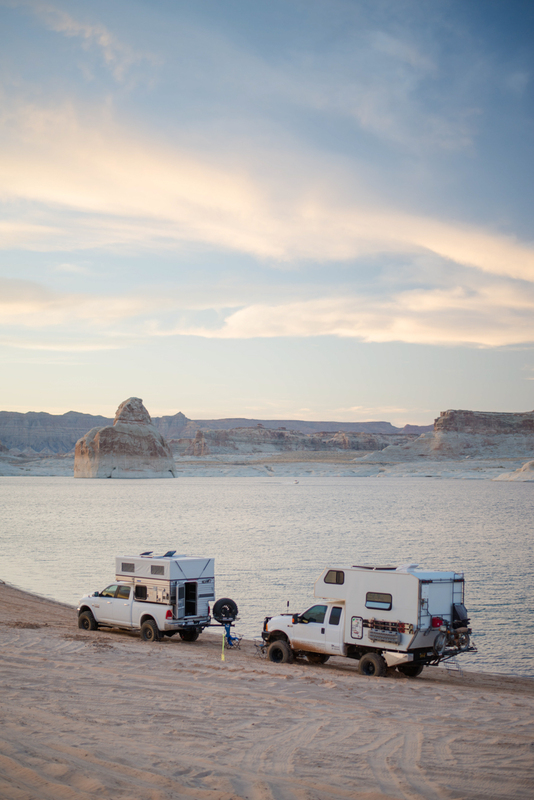 As I said before, there are 1,900 miles of shoreline on Lake Powell, so there’s bound to be tons of campsites. 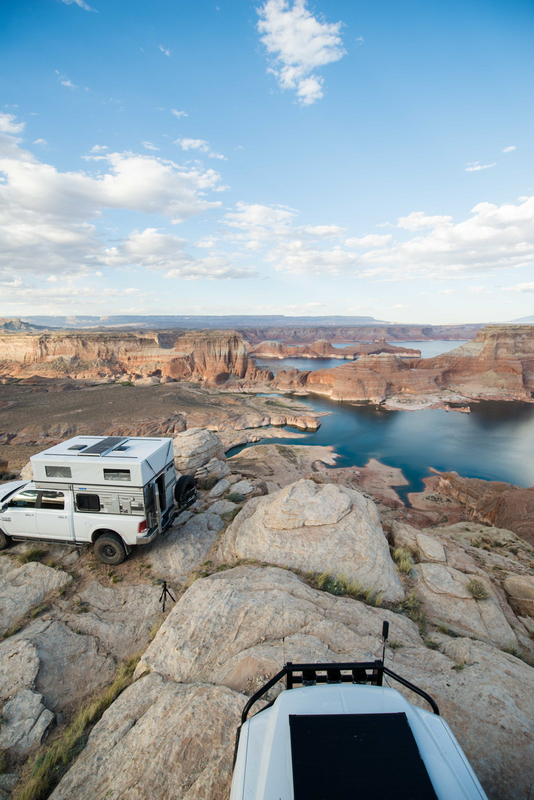 Alstrom Point is located two-four hours outside of Page, Arizona; you drive west toward Big Water, where you then hop on a 25-mile long dirt road that leads into the desert. Alstrom Point is a bit different than Lone Rock Beach. 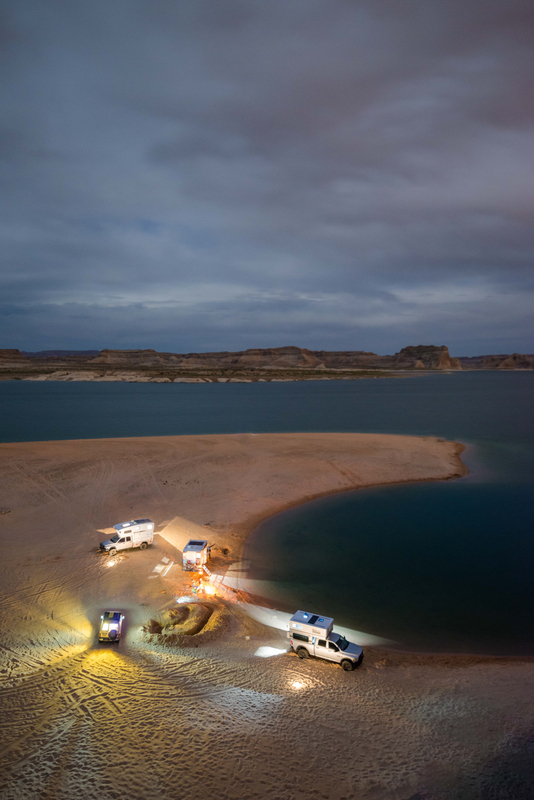 You’ll be camping on a cliff edge high above Lake Powell, as opposed to on the beach itself. The point itself has multiple campsites; some have better views than others, but no matter what campsite you end up with, its worth the drive in, and camping is free here. 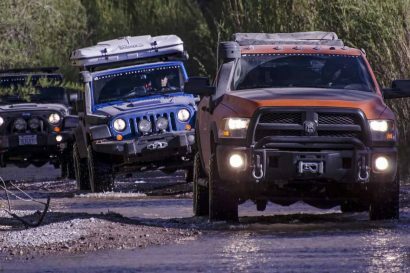 The first 22 miles of dirt roads are quickly completed in any vehicle under dry conditions, but I’ve heard stories of travelers getting caught in the rain. It turns into an insanely slick clay surface that even the most capable 4WD vehicles can get stuck in, so check the weather before you leave. 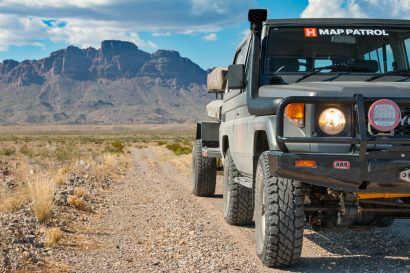 The last three miles of the road are the most challenging: high clearance is required, 4WD is recommended. When I was there, I saw two 2WD vehicles, but both were rentals, and we all know some people drive rentals in some pretty stupid places. This campsite had the best views of any site I stayed in during my last five months of travel, both sunset and sunrise were terrific, and the stars were endless. The only downside to this campsite was the lack of activities during the day. From what I could find, there was no access to the water, and even if there were it would be quite the hike. We ended up taking naps and cleaning out the campers. You could go for a hike, but it was hot, and you’d just be walking through the flat desert. The bit of boredom in the middle of the day is well worth spending a few nights out at on point, and I think our entire group agreed that this was a top campsite to watch sunset and sunrise. When people think of giant redwood trees, they think of Redwood National Park, but I stumbled upon a state park that was even better. Jedediah Smith Redwoods State Park is located on the very northern edge of California, a few miles east of Crescent City. The park covers 10,430 acres, and 9,500 of those acres have redwood trees on them, one of those being the largest redwood tree (not tallest) at 20 feet in diameter. Camping here is established, I would even say is was the most-established campground I’ve visited yet so far. Showers, toilets, and campfire rings are all available. 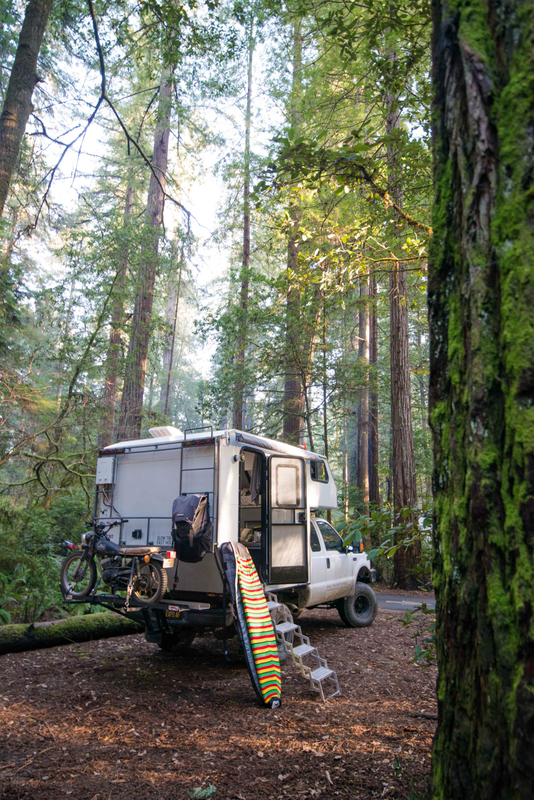 There are a few loops at the campground, some sites are in the densely packed redwood forest, while others are on the banks of the Smith River. Campsites are $15 a night and well worth the cost. 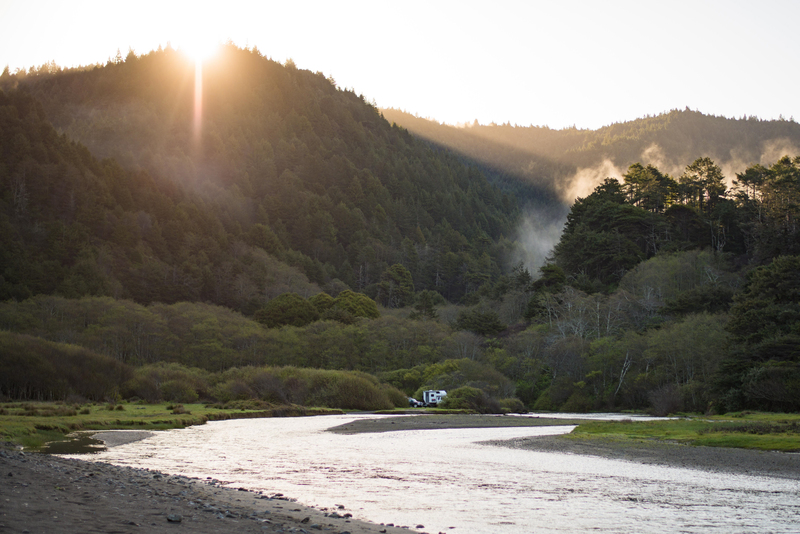 When I visited the state park I stayed in one of the sites surrounded by redwood trees; all of the campsites down by the river were taken. The campsites are well secluded with thick bushes and trees to separate you from your neighbors, and other campers were quiet and friendly when I was there. The campground has a network of hiking trails leading out of it; I ended up picking a random route and hiking for a few hours. Camping surrounded by some of the most massive trees in the world was a pretty surreal experience. This campsite was hands down the best place I’ve ever spent the night at; it was exceptional and still somewhat unknown, but you’ll have to find the exact location on your own. 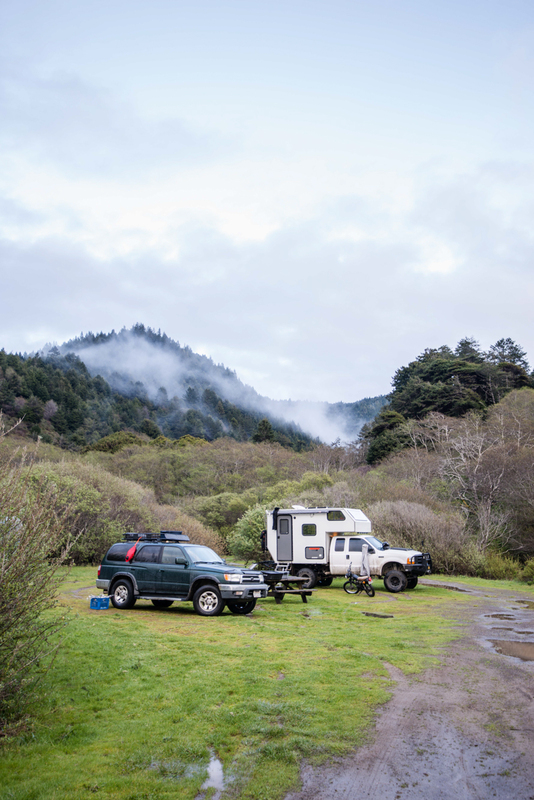 The campsite is located in California’s Lost Coast, accessible by a 6-mile long dirt road. 4WD is not required, but when I drove the trail, it was a muddy mess due to rain. 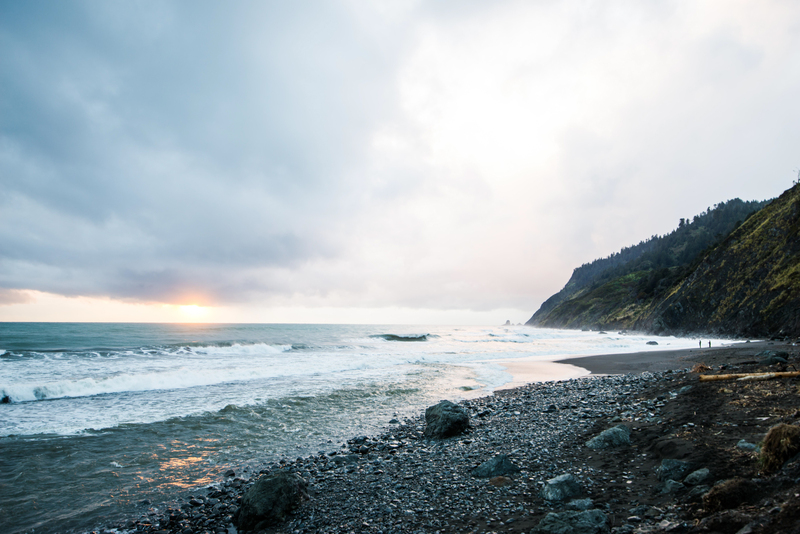 California’s Lost Coast is a development-free area in Northern California, with only a few roads leading to and from the coastline. 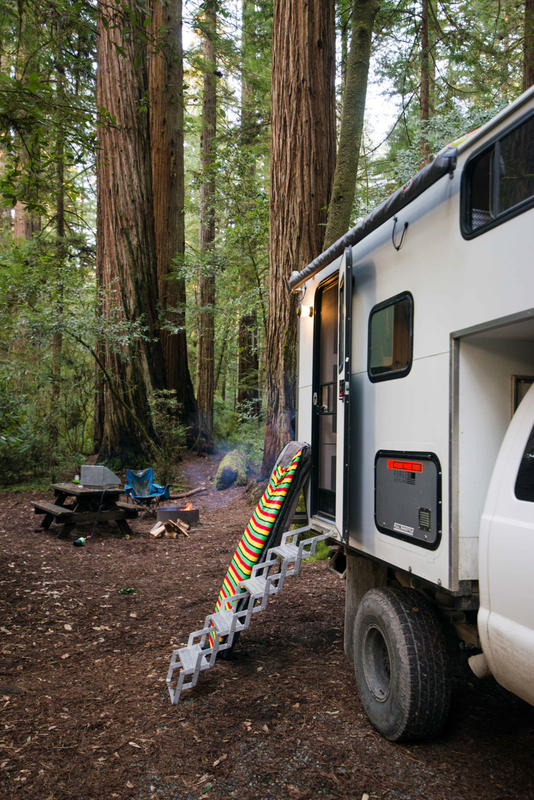 The campsite is located on the edge of the Pacific Ocean, down a valley, with a road winding alongside a stream. When I arrived, the stream had turned into a river, due to the days of rain the area had received. You usually can camp on the beach, but I wasn’t going to risk crossing the sandy bottom river in my 6-ton truck. The campground is free and has no amenities. The day I arrived was a rainy mess, but I could tell the campsite had potential. The rain stopped in a few hours, and that’s when I fell in love. The skies partially cleared and the wind switched offshore, turning what had been a choppy ocean into a well-groomed playground for me to surf in. I spent the last minutes of the evening surfing and enjoying what the sea had to offer. The rain started up again just after sunset, and I fell asleep to the sounds of rainfall on my roof. 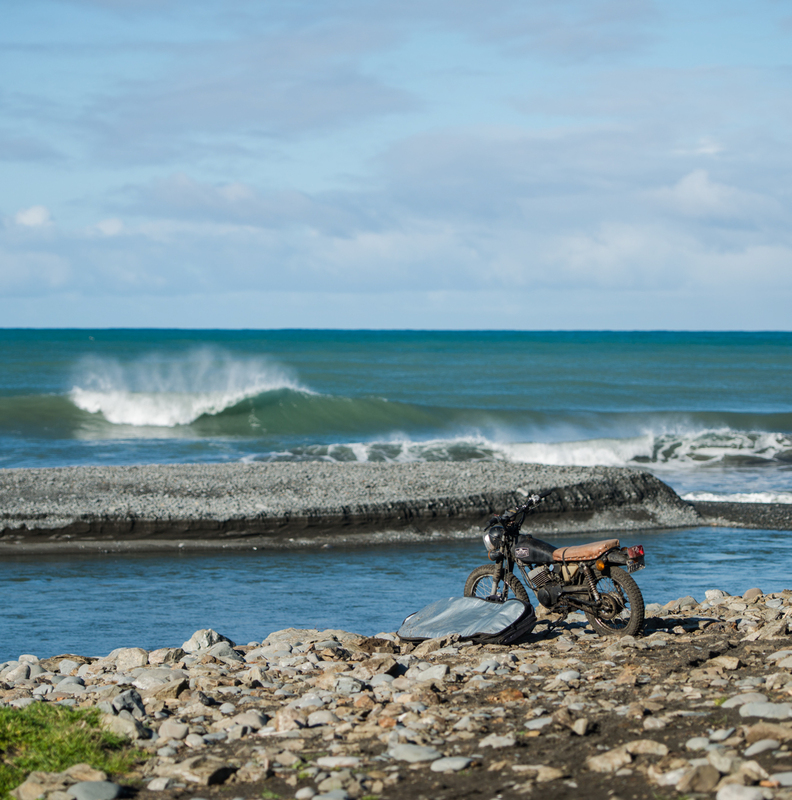 The next day, the swell that I surfed the night before surprisingly had kept its size, and the overnight offshore winds had groomed it even further, turning it into some of the best waves I’d surf on my whole trip. The area surrounding the campground is covered in hiking trails—I chose one headed north, following the coastline for a few hours before heading back. During the three days I was there I only saw two-four other groups, and one of those was just a fisherman in for the day. I’m not sure I’ll ever find a campsite as good as this one was, and if I do, I’ll probably move there permanently. Hopefully, you can discover this campsite and if you do stumble upon it, please, keep it quiet. Basil used to live in Long Island, NY but escaped the brutal winters and now currently resides in sunny San Diego, CA. Basil Lynch is an adventure photographer, specializing in overland and landscape photography. He creates images that captivate your eyes and are full of stunning colors. When he’s not taking photographs you can find him in the water surfing, exploring the outdoors, camping, hiking, offroading, or just wandering around.